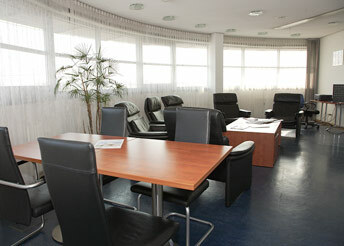 The crew lounge in the GAT in Stuttgart is at the front of the building with views over the runways. It is easy to reach via a shuttle service from the main terminal. Free WLAN and modern Relax easy chairs provide the ideal setting for having a break, getting information and preparing for the next flight. When desired, the GAT staff at the service point will call up the weather data and pass it on. There are small conference tables creating a comfortable atmosphere for short meetings with colleagues. Refreshments are available for you at the self-service counter.